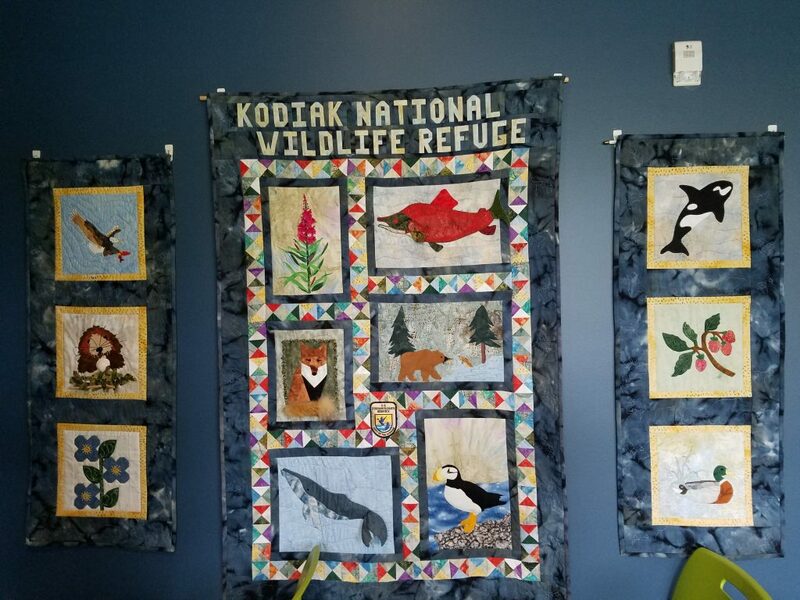 On my recent trip to Kodiak, AK, I saw this attractive triptych wildlife quilt hanging in the Kodiak National Wildlife Refuge Visitors Center. 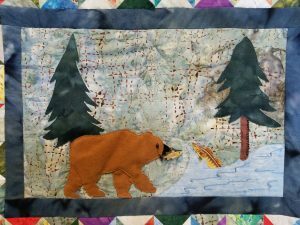 I was in Kodiak to teach at the Kodiak Bear Paw Quilters and was able to stay additional days to explore. 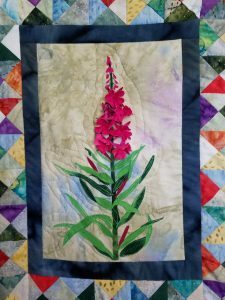 Members of this lovely group made this quilt and donated it to the Visitors Center in 2007. 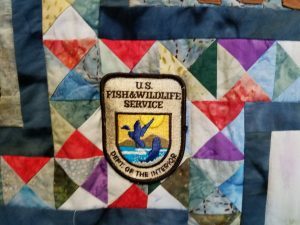 It hangs near the entry way in an area with seating where people may watch a video about the wildlife on Kodiak Island. I love the animals and wildflowers. Check it out if you are in Kodiak. 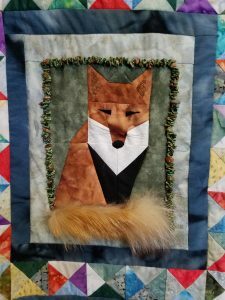 The Project was coordinated by Darsha Spalinger, Ilva Fox, Christy Kinter and Sheila Wallace. 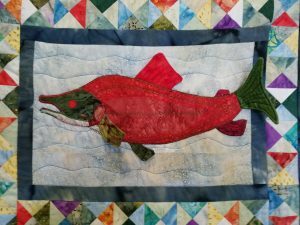 The quilting is by Sue Thompson. Here are some detailed shots. 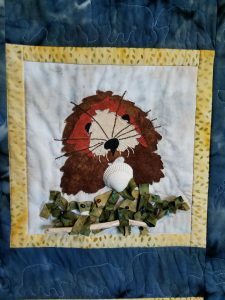 Otter by Christy Kinter. 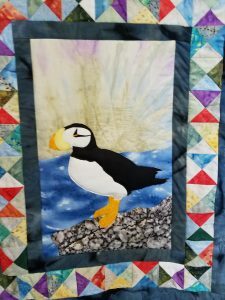 Puffin by Mary Buben. Bear by Sandy Peotter. 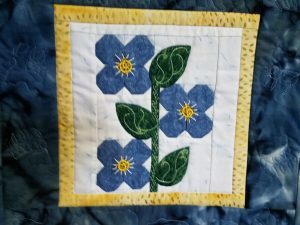 Forget-me-nots by Sheila Wallace.